Borussia Dortmund have made the loan signing of Barcelona striker Paco Alcacer a permanent deal. The 25-year-old, who moved to Dortmund on a season-long loan in the summer, has put pen to paper on a contract through to 30 June 2023. 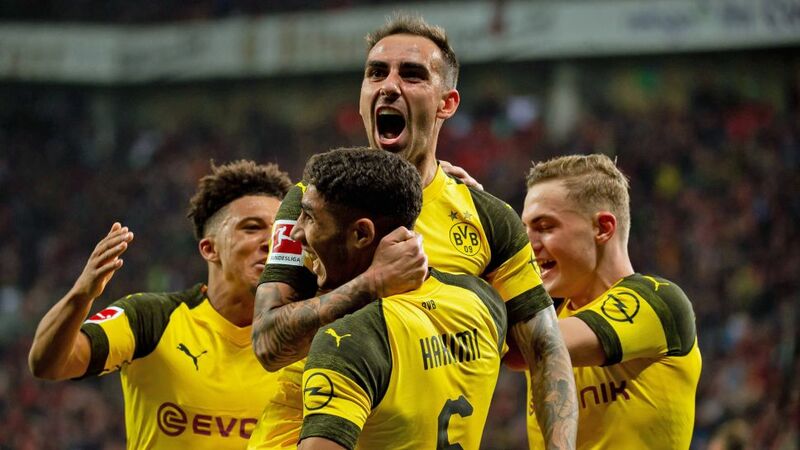 "I'm very happy in Dortmund, at BVB and in this wonderful team," Alcacer told the club's website. "Borussia Dortmund was and is exactly the right decision for me. I'll do everything I can to say thank you for your trust!" Alcacer struggled to make an impact during his two-season stint with Barcelona, but has made a blistering start to his Dortmund career. The former Valencia and Getafe man set a new Bundesliga record by bringing up his eighth goal in just 218 minutes on the pitch against Bayern Munich on Matchday 11, and is currently averaging a goal every 29 minutes. "Today we informed Barcelona that we will take the option to buy Paco," Dortmund sporting director Michael Zorc said. "Paco is wholeheartedly with us, he has quickly integrated and has become an integral part of our squad. He's a real scorer of high footballing quality, and has already decided some important games for us. We look forward to many more goals and assists from Paco in the coming years." Alcacer's rich vein of form earned him his first call-up to the Spain national team in almost two years. His purple patch continued as he started the 11 October friendly against Wales, scoring twice. The goals were his first for his country since he netted twice against Luxembourg in September 2015.